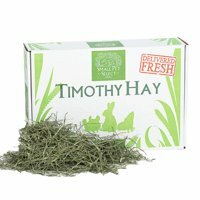 The Highest Quality - Premium Timothy Hay for rabbits, guinea pigs, and chinchillas. Product TitleOxbow Essentials Dry Young Rabbit Food, 25 lbs. Product TitleOxbow Essentials Young Rabbit Food, 5 lbs. Product TitleOxbow Critical Care Small Animal Food, 16 oz. Product TitleOxbow Alfalfa Hay Dry Small Animal Food, 15 oz. Product TitleOxbow Alfalfa Hay Small Animal Food, 9 lbs.